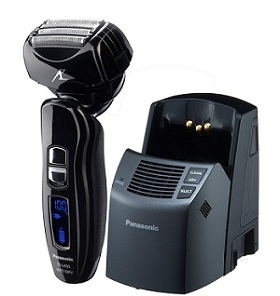 Panasonic ES-LV81-K is a great electric shaver which can undoubtedly provide you a comfortable and smooth shave. This is certainly the best shaver among all other shaving devices that Panasonic has ever made. If you take extra care while shaving, and money is not a problem then, this is certainly your shaver. This is a shaver for the elite peoples who love to use a luxurious electric shaver and extra cautious with their shaving. This shaver contains all the features to become one of the best electric shavers of 2018 in the present market. In spite of these features, some users think that this shaver is nothing but a complete waste of money. For every user, we are going to analyze this shaver and try to figure out whether these are worthy of your money or not. Panasonic ES-LV81-K introduces us to an exclusive feature for the first time in this world. No others shaver making industry had succeeded to bring up this facility before and it is the 5 blade linear system which can decrease the shaving time. Not only does it decrease the shaving time, but it also covers a wide area. This is absolutely a timesaver and certainly a well-desired shaving machine for the busy user. These will cut better than the 4 blade shaving system. If you want to shave faster with comfort and want high-end results, then there is no alternative of it. This 5 blade linear system can remove all of your facial hair within the blink of an eye. 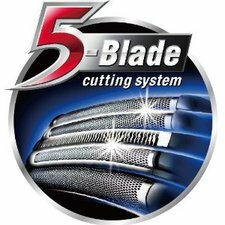 If you were unhappy with the 4 blade Panasonic electric shaver then this 5 blade feature can provide you the entire outcome that you want. Braun Series 9 shaver has been in competition with the Panasonic 5-blade linear system shaver ever since its arrival. But, we always prefer the personal factors of the users. If anyone gets complete satisfaction from his previous shaving machine then there is no need to change it. Of course faster machine speed or extra sharpness cannot compete with personal interest or comfort. The main difference between Panasonic ES-LV81-K with ES-LA93-K is that the Arc5 is much lighter than the Arc4. It also contains a classic look which you cannot find in the Arc4 shaver. The Arc 5 has an amazing feature which can remove the low lying hair from the neck and jaw areas. It has become possible because of the new outer foil technology is used in Arc 5. Apart from these advantages the Panasonic ES-LA93-K is still a great electric shaver which can give you a clean and smooth shave for only half of the price of ES-LV81-K. It has the similar motor speed (14000 CPM). It contains flexible head, which can move any direction to cut better and ensure comfort. The coverage area is not quite as good as the Arc 5, but it is more than enough to make you happy. Is the Panasonic Arc5 Better than Other Well-Known Shavers? Most of the Arc 5 users are very happy with this advanced shaving machine. The reason behind this is they were not happy with the performance of the other electric shavers like Braun Series 7, Panasonic ESLA93-K or the famous Philips Norelco 3D. The people who have rough hair and different facial structure must refocus on those areas again and again with the other shavers, but the Arc 5 can erase the hair of those areas in a single stroke. You can hardly find any missing spot after shaving with this ultimate shaving machine. The Arc 5 can give a performance likes any blade razor. The 4 Quick Lift Technology of Foils systems and the 5 blades can meet your desire. This complete performance is rare from all other shavers. The best part of this shaver is the presence of the automatic cleaning facility and the charging system in ES-LV81-K.
Who Should Buy Panasonic ES-LV81-K? If you want to experience faster shaving experience with a foil shaver. If you aren’t satisfied with shavers like Braun Series7, Panasonic ESLA93-K or Phillips Norelco. If you want to shave with a faster Arc5 linear shaver. If you love to shave in a comfortable and luxurious way. If you are completely satisfied with your current shaving kit. If don’t have much facial hair. If you want to spend a less for a shaver. In spite of the high price tag there is hardly anything to complain about the performance of this Arc5. Panasonic electric shavers usually very efficient and long lasting, but this Arc5 has exceeded the fame of its ancestors. Next story Rotary or Foil – Which Electric Shaver is Better?